Here are 5 platforms which are providing crytocurrencies beyond bitcoins. New Delhi: Everyone is talking about Bitcoins, but it is just one visible tip of the iceberg. While cryptocurrency is at a nascent stage in India crypto platforms continue to excel. 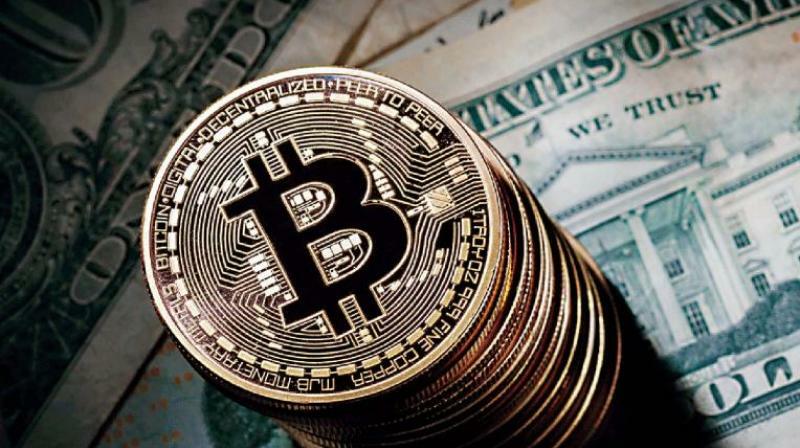 It is reasonable that Bitcoin pulled in significant manner in the last few years, there are other currencies like Ethereum, Ripple, Bitcoin Gold etc. which have high potential as well. Though Ether has been the second popular crypto currency in India; many still do not know that there are other options too that are picking up now. Also, now some of the Indian exchanges have launched crypto to crypto pairing options, making it easy for users to transact and invest. Unocoin is a Bangalore based technology startup and is India's first entrant into the cryptoassets industry. The company operates India's largest cryptoasset exchanges, which enables Indians to buy, sell, store, use, and accept cryptoassets. It also offers a full-featured mobile app, with 24/7 access to real-time cryptoassets market prices and instantaneous trading transactions. With over 1,200,000 customers, Unocoin processes transactions worth more than INR 2B, every month. Unocoin has launched a new order-based trading feature on its platform as part of a suite of updates on its iOS and Android application. The new feature on the platform is currently built to support six major crypto assets - Bitcoin (BTC), Bitcoin Cash (BCH), Bitcoin Gold (BTG), Litecoin (LTC), Ethereum (ETH), and Ripple (XRP). The Stellar (XLM) coin will soon be released. Koinex, commenced the new format with crypto-crypto trading on their web and mobile platforms. While there are other exchanges offering a similar trading format, Koinex yet again stands out by launching 15 pairs of tokens which will be available for trading right from the start. Headquartered in Bangalore, CoinSwitch.Co is a blockchain-based cryptocurrency exchange aggregator platform that supports transactions in over 100 cryptocurrencies in India and 300 across the globe like altcoins, tokens like Bitcoin (BTC), Ethereum (ETH), Ripple (XRP), Litecoin (LTC) etc. Given its diverse offering, CoinSwitch.Co has been driving daily sales volumes upwards of USD 1 Mn. CoinSwitch.Co aggregates multiple exchanges, facilitating transactions in all coins that are available with partner exchanges. Users can easily compare the price across multiple exchanges and opt for the best bargain. CoinSwitch.Co further allows users to convert their existing crypto-assets into other pairs, supporting over 7,000 currency pairs in India and over 45,000 across the globe. WazirX is India's most trusted bitcoin exchange, also enabling Indians to build up their digital assets by buying, selling or investing in other crypto-assets, such as Bitcoin, Litecoin, Ethereum, Ripple etc. In addition to supporting the leading crypto-currencies, WazirX also announced the launch of India's own digital asset, WRX. Amongst its many USPs, Alluma's fast and easy online on-boarding process makes the exchange attractive to advanced and novice traders alike. Alluma wallets utilize multi-signature technology, advanced privacy protection, two-factor authentication, and anti-phishing technology to ensure the highest level of security for traders' money. With its transfer tool, one simply needs to select a wallet, an email address, or the mobile number of the recipient to send currency. Additionally, Alluma's high-performance technology supports over 1,000,000 transactions per second, connecting traders with a global order book to buy and sell multiple currencies quickly and competitively. Apart from Bitcoins Alluma deals in Ethereum, Ripple, Litecoin, Eos, Tron, BCH, NEO and DASH.